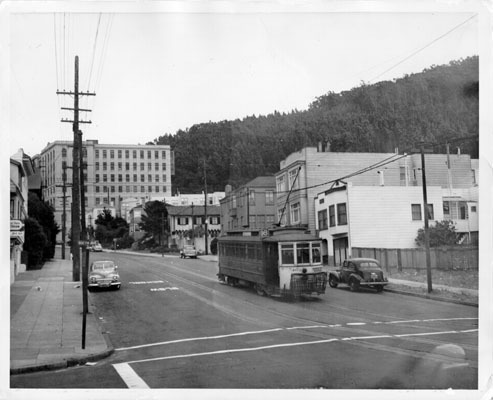 Title [Market Street railroad 6 line streetcar at 6th and Judah] [graphic]. Location Folder: S.F. Transportation-Lines-Market Street Railroad-6 Line. Subject Transportation -- Streetcars -- Lines -- Market Street Railroad -- 6 Line. Street-railroads -- California -- San Francisco.